Large apartment. Public parking nearby at extra cost. Apartment was clean when moved in. Little did I know that there will be no cleaning if you are staying less than a week. There were extra charges for everything. They are ok to keep your luggage upon check out but don’t expect to have any washrooms upon collection of luggage if you want to use one. And the answer was straight NO to that. I think I won’t stay in there next time. Location good as near centre and station. Nice, big rooms with ensuite to double as well as main bathroom. Very friendly, accommodating staff. Very nice stay! Clean and comfortable appartement. Not far from restaurants and bars. i didn't get my deposit back! the staff said there was a complaint by other guests but i insisted they showed me the file report but they didn't?? great staff, great views, great rooms, great beds, great bathrooms, rubbish floors! When I booked this at first I was a bit worried as the price was so cheap, but my expectations were completely exceeded! And realised I'd lucked out with a bargain and an amazing apartment. The huge bed was so comfy, the apartment was spotless clean and generally was just an amazing apartment with good cooking facilities, and with Aldi next door open until 10pm cooking for yourself whilst on a trip is great. My dog loved to look out the window & bark at strangers in the carpark (lol) So next time as a personal choice I'll ask for a room higher or on the other side but thats nothing wrong with the apartments, its my dog who's the problem there. But she was happy when I left her hope to pop to the shops. The reception staff and housekeeping staff were so lovely and helpful which really makes the difference. Look forward to staying there again. 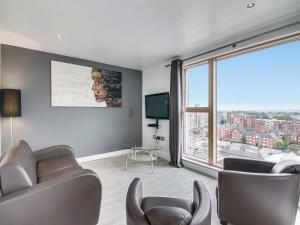 Lock in a great price for Living by BridgeStreet, Manchester City Centre - rated 8.5 by recent guests. One of our top picks in Manchester.These luxury apartments with free WiFi are a 5-minute walk from Manchester Piccadilly Station and Piccadilly Gardens. Limited parking is available, at an extra fee. Living by BridgeStreet have apartments with a modern fully equipped kitchen, luxury tiled bathrooms and spacious bedrooms. The stylish open-plan lounge and dining area is next to the kitchen. 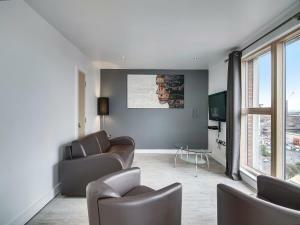 Here guests will find a flat-screen TV and comfortable leather sofas. A DVD player is available upon request. 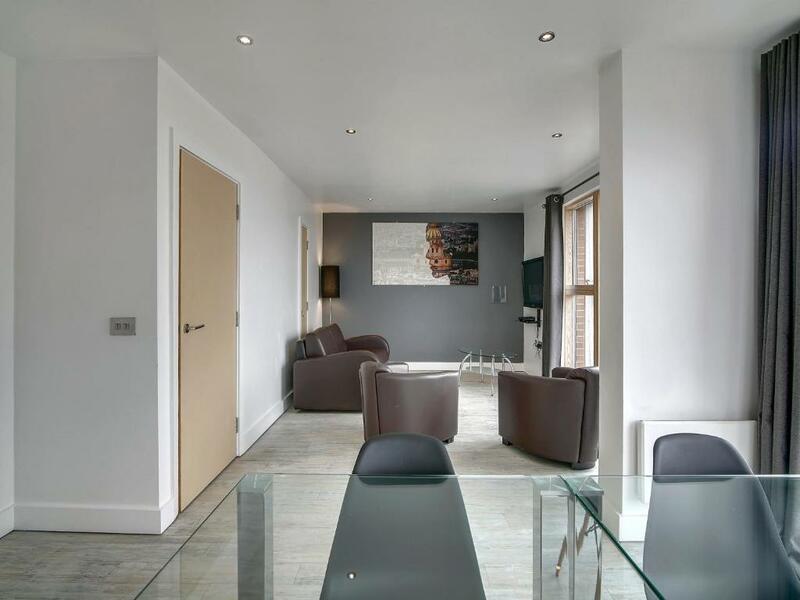 Living by BridgeStreet are excellently located close to Manchester’s main attractions. Manchester Central conference centre is a 20-minute walk away, and the Manchester Arena is about 1 miles away. Manchester Victoria Station and The Arena can be reached within 20 minutes by foot. 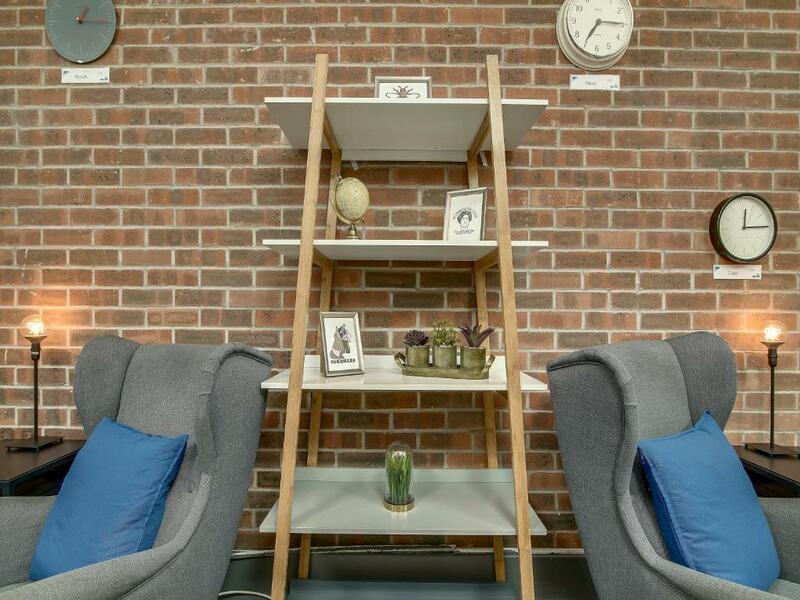 Living by BridgeStreet, Manchester City Centre has been welcoming Booking.com guests since 6 Apr 2010. When would you like to stay at Living by BridgeStreet, Manchester City Centre? 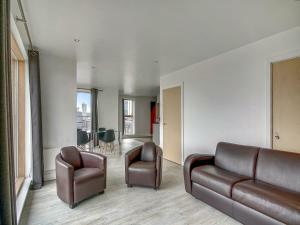 This apartment has 1 double bedroom, as well as a sofa in the living/dining area. There is also a fully-equipped kitchen and a private bathroom. 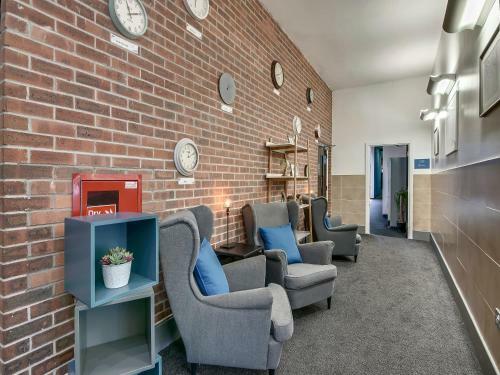 This apartment has 1 double bed and 2 single beds. There is also a sofa in the living/dining area and a fully-equipped kitchen. We have been welcoming guests to Living by BridgeStreet in Manchester since April 2010. 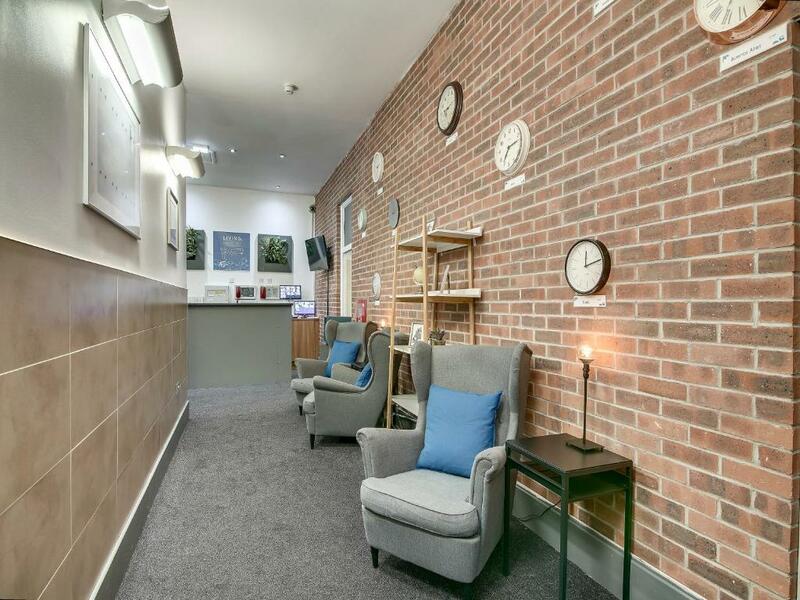 We have a great location on the edge of the Northern Quarter and close to all the local attractions! James is our Guest Experience Manager with over 10 years experience of welcoming guests to properties around Manchester and beyond. Born and bred in the city he is the BridgeStreet Manchester ‘fountain of knowledge’ for all things to do and see during your stay. His team are on hand 24 hours a day to help to make your stay as pleasurable and relaxing as possible. With properties in more than 22,674 cities, in over 131 countries, BridgeStreet is the first unified technology platform built for business travel offering clients unparalleled access to extended stay hotels, hostels, serviced apartments, vacation rentals, homes and hotels while providing operators access to built-in demand from BridgeStreet’s 5000+ client portfolio and 100+ global sales team. Widely recognized for uncompromising standards of quality, comfort and service, BridgeStreet Global Hospitality is a renowned award winner in both the Americas and EMEA (Europe, the Middle East and Africa). 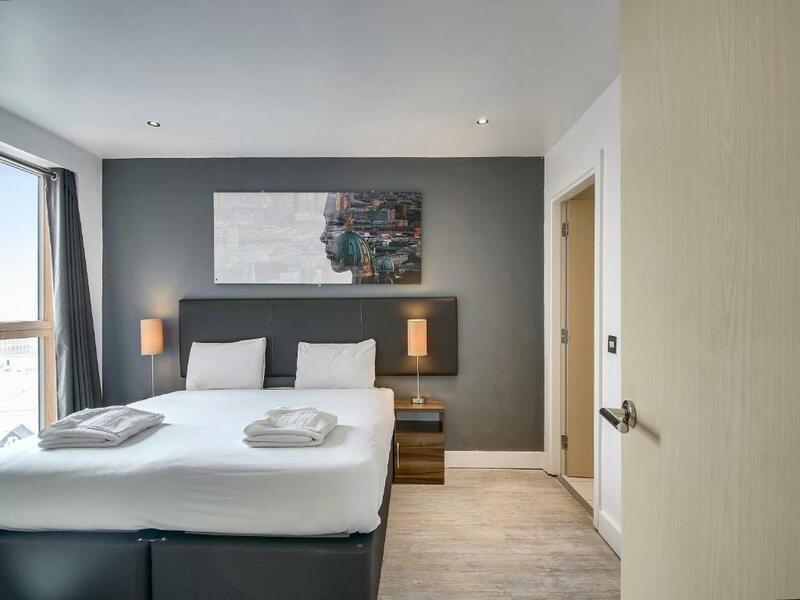 We are located on the edge of the famous Northern Quarter just 5 minutes from Piccadilly Station and close to Manchester Arena, the O2 Apollo, Manchester Arndale and Deansgate. The Etihad Stadium, the home of Manchester City, is within walking distance and both Manchester United's Old Trafford and the Emirates Old Trafford stadiums are a short tram ride away. House rules Living by BridgeStreet, Manchester City Centre takes special requests - add in the next step! Living by BridgeStreet, Manchester City Centre accepts these cards and reserves the right to temporarily hold an amount prior to arrival. A pre-authorisation charge of GBP 150 per apartment will be charged to a credit/debit card on check-in. Please note when booking 5 apartments or more, different policies and additional supplements will apply. The property will be in touch with you directly to confirm these policies. Please note payments for the security deposit must be made by credit or debit card only. A damage deposit of GBP 150 is required on arrival. This will be collected by credit card. You should be reimbursed within 7 days of check-out. Friendly staff. Clean. Good price. There was not enough seating for everyone to sit in living room and watch tv. The dining room chairs were poor quality and not good for relaxing and watching tv. The staff, the size and cleanliness of our apartment. The whole place was ready to be decorated, the floors were damaged, the worktops were damaged. The beds were clean but the rest of the place needed a good clean. The house keeping manger did come up and give the place a vacuum because the rest of the staff had gone home. Thin walls and floors so if you have noisy neighbor's you will hear them. The boiler / heating system was noisy throughout the night. Constant water flow which was audible in both bedrooms throughout the night. Beds were too small. Room was too cold. Not value for money. The sofa and chairs in living room needed updating and to be comfortable. Bedside lamps should be in rooms as standard. Noise the morning in the corridor (sleeping rooms next to the corridor). But not a real problem!